The Newcastle Festival of Jazz and Improvised Music 2017 is taking place across five venues, with an array of talent displayed over several days from Thursday 28th September until Sunday 1st October. The Festival offers a showcase of the thriving collection of musicians within the region, and of the local circuit’s ability to draw in musicians both nationally and internationally in a collective celebration of jazz. This occasion marks the re-emergence of a collective celebration of jazz in festival format, following on from the Newcastle Jazz Festival, which last operated in 1995. Over the course of the festival, The Black Swan Bar and Venue, The Bridge Hotel, The Literary and Philosophical Society, The Jazz Cafe and The Globe will join together as festival venues, to host an incredible array of performances. The Jazz Cafe kick things off on the Thursday, introducing Bearpark, a BABMUS band acting as a sample of the offerings of BA and BMUS degrees. As Friday commences, at The Literary and Philosophical society we shall see the likes of MOBO and Parliamentary Jazz Award winner pianist Zoe Rahman, with her latest creations from her Dreamland album. Koan 6: Enlightenment features at The Globe, with a focus on improv and new composition, and performances from Jazz North East Improvisors’ Workshop participants, Dawn Bothwell of Pentecostal Party, Hen Ogled, Space Gong, and the much-anticipated headliner Culver. The Politics and Poetry: Keith Morris Memorial Concert at The Jazz Cafe, will celebrate the extraordinary contributions of Keith Morris with a screening of the film Politics and Poetry. Carrying forward the focus on jazz contributions in the region, we will also have the opportunity to listen to The Mark Williams Trio, on the very same evening, with their new album launch and a live performance of new and old material. The day progresses with Take Five at the Jazz Cafe, seeing a combination of regional groups including Lindsay Hannon and Bradley Johnson, Graham Hardy and Neil Harland, Faye MacCalman and Dead Stockdale, culminating in a performance from Raymond MacDonald and Graeme Wilson (members of the Glasgow Improvisors Orchestra). The evening will then give way to an array of international musicians at The Black Swan Bar and Venue. Schnellertollermeier is a group with a diverse and ever-transforming style. With an instrumentation of electric bass, drums and guitar, the three musicians from Switzerland (Andi Schnellmann, David Meier and Manuel Troller) have experienced widespread success. Julien Desprez is master of the guitar, who is based in France and with a context that includes co-founding Collectif Coax, and whose style stretches the imagination. 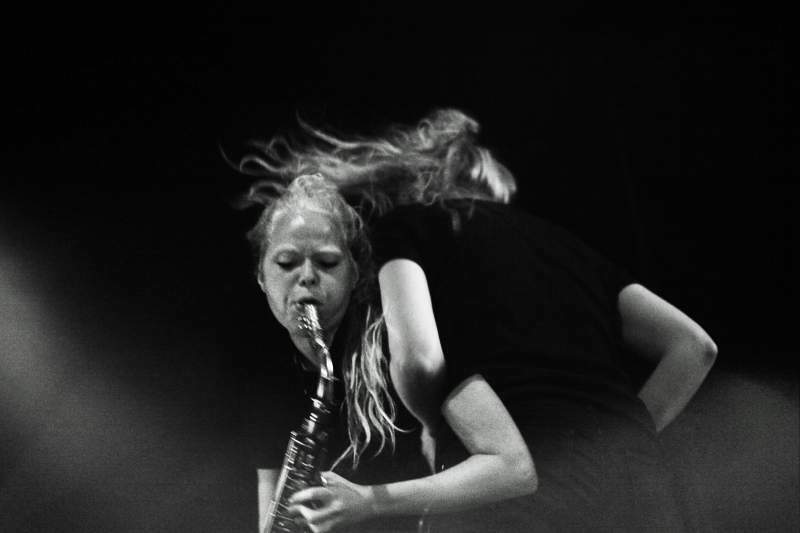 Desprez will perform as Acapulco, in a stand alone performance.Mette Rasmussen, a Danish musician based in Trondheim in Norway, is a saxophonist celebrated for her free jazz. For the night’s performance, Rasmussen will form a duo with Desprez. We will then be privy to Troyka, a group operating out of London, consisting of Kit Downes, Joshua Blackmore, and Gateshead’s own Chris Montague, blending genres with a setup of keyboard, drums, and guitar, which have them seen compared to bands such as Polar Bear. On the Sunday, there is scheduled to be a fantastic opportunity to take in an example of the regular events that form the regional jazz scene with The Tuesday Jam on Sunday at The Jazz Cafe. Mark Williams, Rob Walker and Pete Gilligan form an important part of the area’s jazz contribution and play often for these events. For the festival, there is to be a selection of musicians including the saxophonist Paul Gowland, pianist Alan Law, bassist Paul Grainger and Russ Morgan on drums, who will play a selection of Charlie Parker, Paquito D’Rivera and much more. The Improvisers Workshop at The Bridge Hotel also allows an open and engaging atmosphere to learn, contribute and hone skills in a friendly environment with those of all abilities. As a regional mainstay, the frequent sessions (held the first Sunday of every month) are the perfect way to come along either to play or listen, in a way that celebrates the communal and social spirit of jazz. For the festival, the mentors are Dr Graeme Wilson and Professor Raymond MacDonald. Finally, the festival brings the incredible and diverse instrumental offerings of the Three Trios at The Bridge Hotel, which are sure to stun audiences with their skill and expertise. Featuring performers who play in the London Improvisers Orchestra, Leafcutter John from Polar Bear, and Laura Jurd from Dinosaur among others, there are wide-ranging contributions pertaining to various jazz fusions, that include string, electronic, wind and brass instrumentation. One of the trios consists of Julie Kjaer, Hannah Marshall and Rachel Musson, with alto sax, flute, bass clarinet, cello and tenor saxophone. Another trio is made up of Laura Jurd, Leafcutter John and Julie Kjaer, with trumpet, electronics, alto sax, flute and bass clarinet. The final trio exists in the form of Barrel, which consists of Alison Blunt, Ivor Kallin and Hannah Marshall in what promises to be an incredible string contribution with violin, viola and cello. This is orchestrated as part of the fantastic efforts of Jazz North East’s series On The Outside and Women Make Music. With the support of regional venues, Arts Council England, Jazz North East, the Swiss Arts Council (Prochelvetia), PRS for Music Foundation, GEMARTS, Reflex, See, Tune Hotels and Women Make Music, the Newcastle Festival of Jazz and Improvised Music 2017 is set to host incredible musicians both regionally, nationally and internationally, to form a fantastic musical celebration. Newcastle Festival of Jazz and Improvised Music takes place from Thursday 28th September – Sunday 1st October across various venues.